Staff and field officers could choose between the older model 1850 or the new lighter model 1860 sword. These were not often worn in the field, but the Army contracted for 52,000 of them. Many were put to other uses after the war. 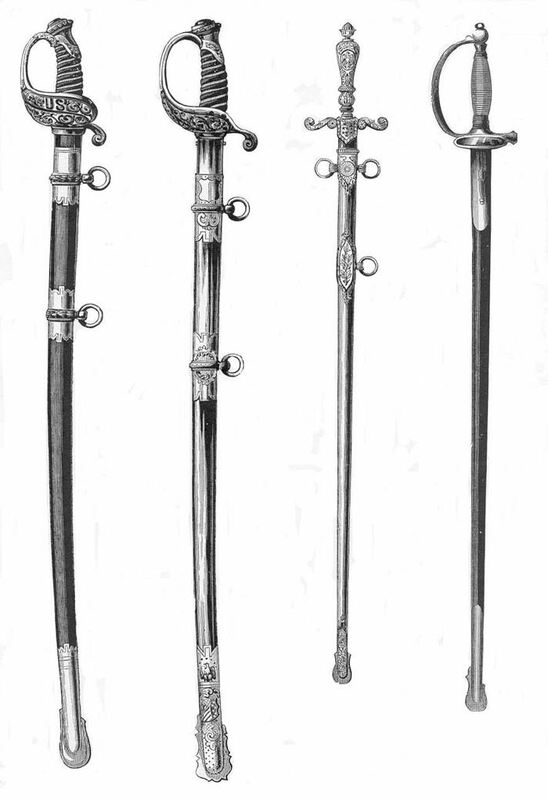 They were worn by sergeants of foot units, mounted sergeants wore sabers prescribed for cavalry or light artillery.